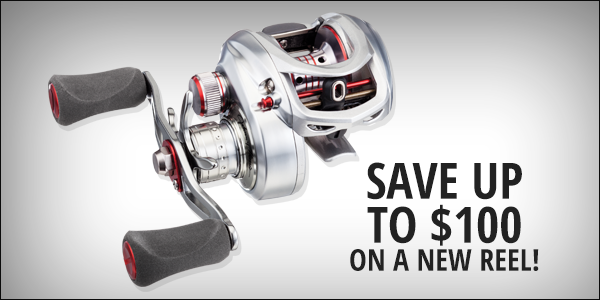 Trade in Your Old Rod or Reel and Save Even More on a New One! Applies to all rods and reels including fly. Savings based on purchase price. Thanks to all participating vendors for benefiting local nonprofit organizations! To date, we have donated over 339,451 items. *Applies to prices marked. This program does not apply to any combo purchase. 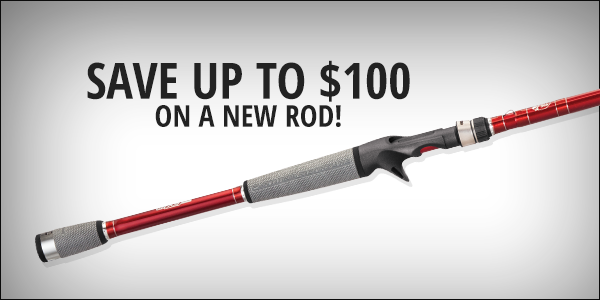 Limit 1 coupon per new rod or reel. 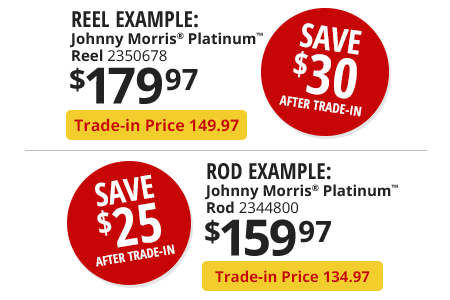 Donate all working rods and reels during trade-in dates and receive a discount coupon to be used toward the purchase of a new rod or reel. 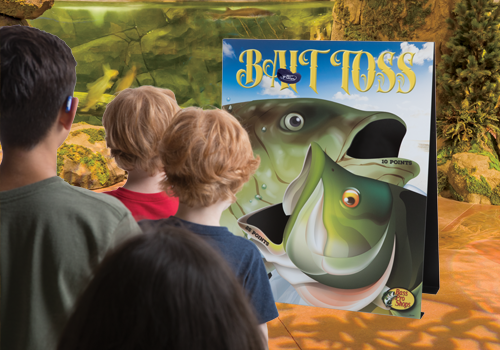 All trade-ins will be inspected to ensure good working order, and then donated to local nonprofit organizations to help with their outdoor education programs. See store for details. 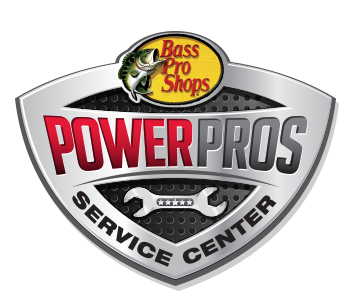 Power Pros installation not available in all locations. See powerprosservice.com for a service center near you. IN-STORE ONLY. INSTALLATION MUST BE COMPLETED BY MARCH 30, 2019. Special orders and rain checks not available. 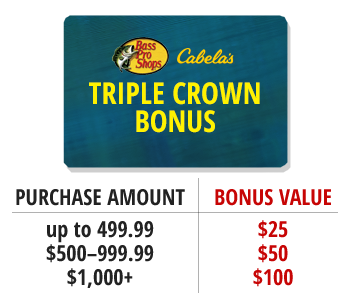 See store for more info about CLUB, Power Pros, and Bonus Bucks. 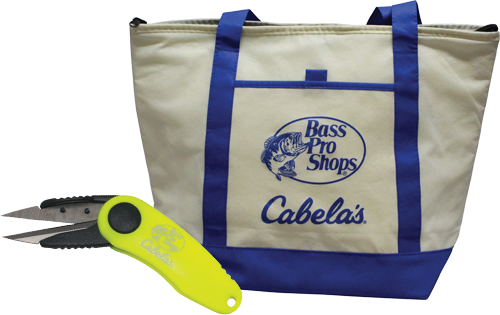 1For approved purchases made with your Bass Pro Shops or Cabela’s CLUB card issued by Capital One Bank (USA), N.A. Promotional offer is calculated by multiplying the advertised amount (e.g. 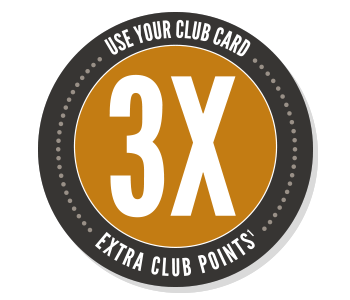 2X) by your usual percentage of CLUB Points earned on Bass Pro Shops and Cabela’s purchases (2% for Classic cardholders; 3% for Silver cardholders; 5% for Black cardholders). Points will appear on your statement within 60 days of the transaction posting date. Prices subject to change and typographical, photographic, and/or descriptive errors subject to correction. Points not earned on tax or shipping charges. 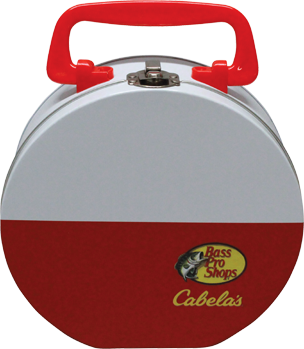 Offer available on eligible in-stock depth finders and trolling motors at Bass Pro Shops and Cabela's U.S. retail stores in the lower 48. Bargain Cave and Clearance items excluded. Not valid on purchases made in Boat Centers. 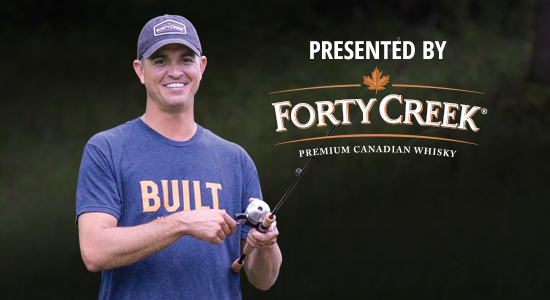 To the first 15 attendees of each advertised Local Pro Seminars and the Women's Fishing Workshop. *Must be 18 years or older. Styles may vary. 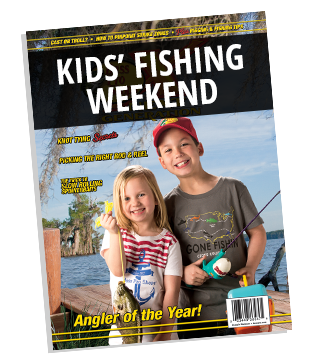 You on the cover as Angler of the Year! 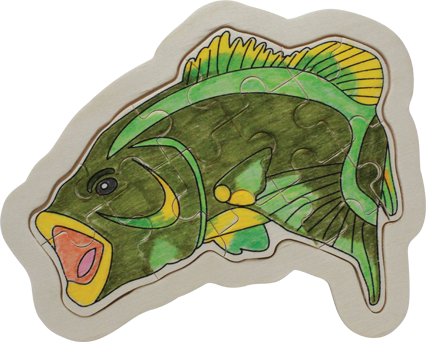 Color a Wood Fish Puzzle. While supplies last. Styles may vary. Bobber Tin to the first 100 kids who complete a punch card each day with &starf; activities. 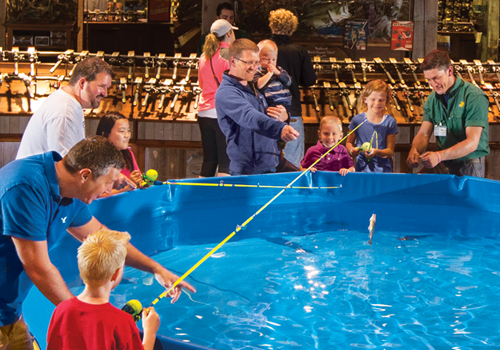 Saturday Only 2:30pm: FREE fishing patch to the first 50 kids to attend workshop. While supplies last. Activities may vary by location. See store for details. Workshops and activities are subject to change and may vary by location. See store for details. All giveaways available while supplies last – styles may vary. Event not available at Islamorada location.